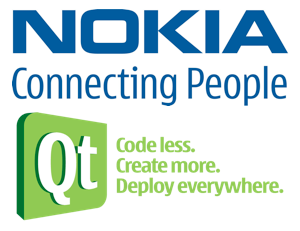 We are pleased to announce the support of Nokia as sponsors of BarCamp London 8. A cross-platform framework that creates huge opportunities for future Symbian and MeeGo smartphones. A robust, tried and tested application development framework that has delivered thousands of use-cases across desktop, mobile and embedded operating systems. 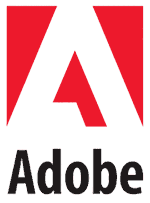 Greatly reduces development effort through intuitive APIs and a 70% reduction in lines of code. A framework that compiles your code to native, and will not slow it down through runtime. Let Qt help you create sophisticated, responsive, and appealing mobile apps. Duracell will be providing a number of charging pads which will be free to use during the weekend, and they’ll even have one to give away to one lucky BarCamp participant. MinuteBox is a marketplace for users to buy and sell advice via video chat. Individuals are able to use MinuteBox as a gateway to access expertise in a timely and cost-effective manner, while Experts can sell their time and be rewarded for their knowledge. MinuteBox will be providing the bags that each BarCamp attendee will receive their schwag in. You’ll not be able to get away from Mozilla at BarCamp this time: they’ll be hanging round your neck. Mozilla are providing the lanyards that your name badges will be dangling from. Finally, one last specific thanks to Ben Reyes, who contributed to the sponsorship gathering by accidentally transferring us £10. Every penny counts! We are pleased to announce the support of Squizzle as a sponsor of BarCamp London 8. Squizzle is… Ah, that would be telling, wouldn’t it? give you a warm fuzzy feeling in your tummy. We are pleased to announce the support of Proactive as a sponsor of BarCamp London 8. Proactive looks after small business owners spanning London and the South East. We are strictly a business to business service and our team of accountants and book keepers likes to focus on getting things done. We handle year end accounts, tax returns and VAT returns quickly and cleanly, and with a minimum of fuss. Proactive specialises in IT professionals and operates a paperless office in the heart of London. Being paperless makes the relationship with the accountant quicker, easier and cheaper, which is surely something you’d be interested in! For more details of the services they offer, along with their informative blog full of useful accounting and tax-related tips, visit their website. Alternatively you can also follow them on Twitter. We’d like to thank The Proactive Accountant for their continued support of BarCamp London. 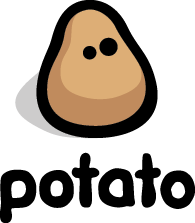 We are pleased to announce the support of Potato as a sponsor of BarCamp London 8. Founded this year, Potato is a fast-growing, London-based creator of complex web apps, working with companies like Google and PayPal. Potato plays home to a multi-disciplined team of webdev experts, tackling projects that range from complex marketing initiatives like Getting British Business Online and massive-scale YouTube channels, to fun, interesting diversions like our getFavicon tool (which serves over 50 req/sec). We love working in the cloud, and as such develop almost solely using services like Google AppEngine. As Potato continues to grow we’re also on the hunt for developers to join our team. We are pleased to announce the support of TechSmith as a sponsor of BarCamp London 8. TechSmith is the name behind Camtasia Studio and Snagit, two of the most popular screencasting/capture applications for Windows, and most recently Camtasia for Mac. People everywhere use our products to grab images and record content straight off their computer screens to create dynamic presentations and screencasts. With our products, people communicate more effectively and create interest with engaging visuals and sharp videos that grab attention and keep it. We develop and update our innovative software every day and plan to continue expanding our existing products to support the Mac platform. We’d like to thank TechSmith for their continuing support of BarCamp London. We are pleased to announce the support of Ibuildings as a sponsor of BarCamp London 8. Established in 1999, Ibuildings assists organisations that deploy mission-critical applications on LAMP, and offers a comprehensive range of PHP services including web development, PHP training, professional services and 24/7 application support. Ibuildings wouldn’t be where it is today without the active community around PHP and open source. Dedicated to supporting the open source ecosystem, we invest time and resources to help various open source initiatives through our PHP Centre of Expertise. By giving back through our techPortal, code contributions as well as supporting tech events big and small, we hope to contribute some of our success back to the community. Passionate about open source? Ready to get your hands dirty by working on challenging projects for some of the largest enterprises in Europe? We are looking for talented software engineers, project managers and support analysts to join our team in London. Visit ibuildings.com/careers to find out more. We are pleased to announce the support of Spreadshirt as a sponsor of BarCamp London 8. Spreadshirt is the world’s creative platform for personalized clothing: create one-of-a-kind, high-quality, expressive apparel. Spreadshirt was founded in 2002 in Leipzig and is now active in Europe and the USA. Spreadshirt has millions of customers worldwide and over half a million shop partners. You can read about Spreadshirt and the people who work behind the scenes on the Spreadshirt Blogs, on Twitter or Facebook. Spreadshirt are sponsoring the t-shirts for BarCamp London 8. As we’ve mentioned previously, all attendees will have the chance to create their very own personalised shirt for the event, all courtesy of Spreadshirt.